Yes, it’s hard to believe, but today (Thankful Thursday) is my 8th Gotcha Day. Way back in 2008 I was adopted and came home just three days before Christmas. It was quite a big day for me. You see, I was always overlooked and waited nine whole months before I was adopted. I was such a good kitty too, and everyone at Kitten Action Team and PetSmart loved me. Oh, I was adopted once, but they were mean to me, very mean, and the Kitten Action Team lady came and took me away from them. Anyways, when the Dad came and got me, had me in a carrier and wheeled me in a cart out of PetSmart, the staff there was clapping and cheering that “hooray, Brian got adopted!”, it really was quite the moment. Those of you who have been with me a while know that I came home to the most wonderful Brother ever, Ivan. So if you are new to our blog, Ivan and I were best of friends in under a minute, seriously. 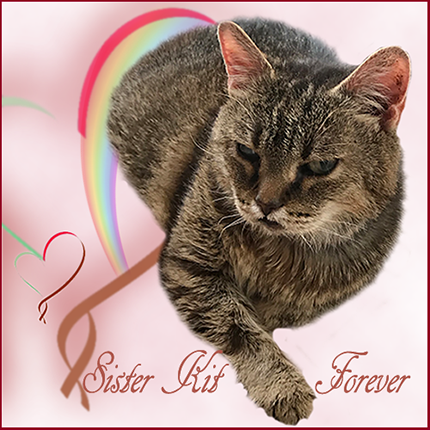 Little did we know that Ivan would make a run for the Rainbow Bridge just three days before the next Thanksgiving holiday. Anyways, that’s one reason why Christmas is special to me. The other reason is that I was born on a Christmas Tree Farm and I love laying under our Christmas Tree, even if it isn’t real. I just want to take a minute and share two photos from my first day home. I had my very first mousie and boy did I love it. I took it everywhere with me. That darn thing ran off somewhere and hasn’t been seen since. This one was taken upstairs between the railing overlooking the livingroom. Yes, up in what is now Sister Precious Suite. I was sure pooped from my first busy day home, but you can tell from the smile that I sure was happy to be home. A lot has changed in eight years, I now have 7 sisters and finally a Brother. But I am still the happy, gentle and welcoming guy I’ve always been. Thanks for stopping my for my Gotcha Day and our Blog Hop. I love you all and appreciate you stopping by on a regular basis. This is not a sponsored post, but I do want to thank my friends at Purina and Tidy Cat for the very special drawing, we all love it. Remember, adopt cats, we deserve it!!!!! More Forever Homes More Often! Purrrrr! Zip! Later! How sweet, Brian 🙂 Glad you found your way to a fabulous home. You have got some pretty cute pictures of yourself there. Woo Hoo Brian!!!! Happy 8th Gotcha Day mee deer furend. Yur kitt fotoss’ are grate; you had thee ame look as mee…that look of wunder…..
An how anyone could have herted you wee not understand; yur thee KEWLEST mankat EFURR!! Wishin you efurryfing katnippy an good. Brian, you have a wonderful Gotcha story. I’m so happy you found your perfect home and even welcomed so many other kitties into your family. You are truly a lucky kitty and a beautiful soul. It hurts our hearts to think you were EVER mistreated. Happy Gotcha Day!! Happy gotcha day, Brian! Your humans were so lucky to adopt you! Happy Gotcha Day, Brian! We love ya, buddy! Happy Happy Gotcha Day! 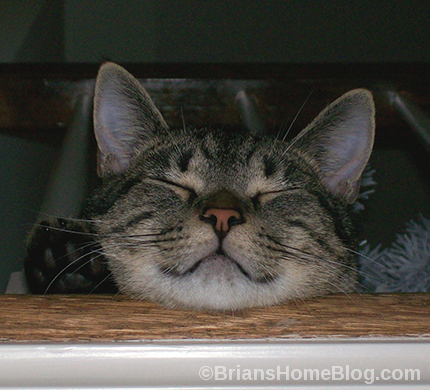 We cats of the Bloggosphere are the luckiest cats ever! We not only got wonderful homes but our humans grow very close to us and make sure we’re happy. I can’t believe you were overlooked for 9 months! That’s just crazy talk. But you ended up in the perfect forever home. OH Brian, Happy Gotcher Day!!! and we are Thankful on Thursday and know you. Happy Gotcha Day, Brian! We sure are glad you found the perfect home. Your unfortunate start reminds our mom of our old bro Russell’s story before he adopted her. And we didn’t know you had a bro named Ivan! Anyway, we’re as thankful as you are that you’ve got your forever family. Love the drawing and the photos. You had a bad start. 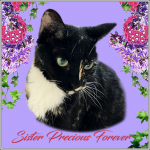 Who could have guessed you would end up in the perfect home with lots of siblings and your own – well, now you have to share – blog? A very happy gotcha day, Brian! Happy 8th Gotcha Day, Brian, and may many more to come! Happy Gotcha Day Brian… I’m so glad you found this fabulous furever home 8 years ago… and to come from a christmas farm is great… do you have a special connection with Santa too? Oh what a special and wonderful day ~ for you, and your family! Happy, Happy … with LOVE! We are so glad that your wonderful Mom and Dad came and got you to take home. You couldn’t have found a better home. So Happy Happy Gotcha day Brian. Brian, pal, we sure are glad you were gottted by your humans too. You ended up with the best family any kitty could possibly want. Happy Gottcha Day pal. Happy Gotcha Day, Brian… Not only did you get a family, you got the best family ever! Brian, you are so special and I hope you enjoy this special day celebrating your 8th Gotcha Day! I enjoyed seeing the pictures from that first day. It took a long time with some really bad setbacks, but I think your home was worth it. You are so loved. Oh, what a purrfect day to celebrate your Gotcha Day, Brian! Congrats on finding the most purrfect home! You deserve it! Brian, my mom never fails on having leaky eyes when she reads about your Gotcha Day and how you were rescued from that horrible place you had been when you were adopted. We wonder how that dear Rescue lady found out and took you away! We your furriends are everlastingly grateful for it. 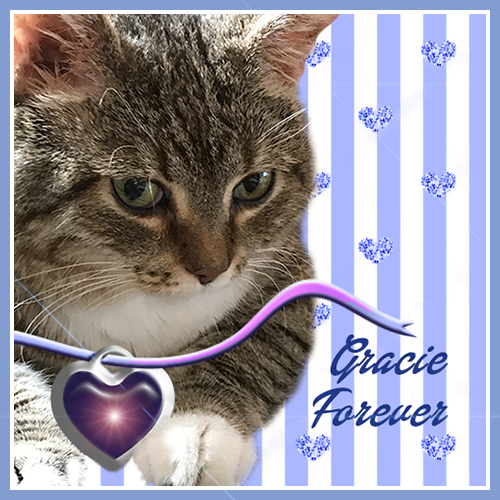 And seeing your sweet face (I know you are a mancat but that precious face at the railings just heart filling) in those pictures makes it a sweet moment for mom and me. Happy Gotcha Day dear Brian and pawrents. So happy your got a wonderful home. Happy Gotcha Day Brian. Dear Friend Brian………….Happy GOTCHA Day – what a wonderful time of the year to celebrate a GOTCHA……you are in a wonderful home with great humans and siblings and having the time of your life – nothing is better than that. I hope you and your whole family have the most wonderful celebration of your GOTCHA and of course the entire holiday. Special times for SPECIAL friends. HAPPY GOTCHA DAY, BRIAN! You sure hit the jackpot on that December day eight years ago! We wish you many, many more gotcha days to come! We’re very thankful you finally found your true forever home, and we wish you many more healthy, happy years to celebrate and “smile”! Happy Gotcha Day! 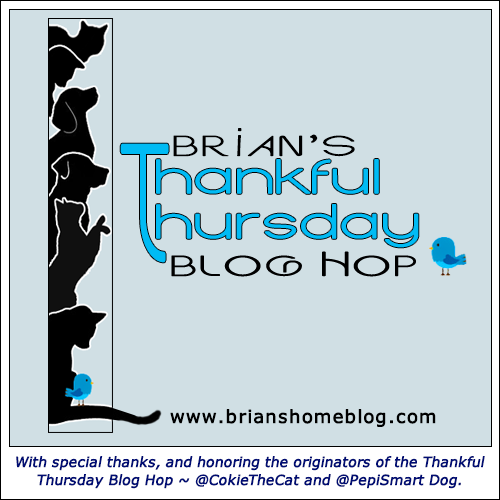 I’m new to your blog but I love that the Thankful Thursday Hop has a new home and I’ll be back to visit and participate. Happy 8th Gotcha Day! You sure did looked pooped after a long first day of exploring. Brian you are awesome. It must be because of your awesomeness that seven or eight cats joined the family after you! Happy Gotcha Brian. YOU are so wonderful and you are with two parents who are very special! Oh Brian, Happy, happy Gotchaday handsum!!! We just can’t understand how somepawdy could pawssibly be mean to you. To any kitty fur dat matter. But fankfully, you’ll never know mean again. 🙂 We are so blest to have ya’ll in our lives and we’re so glad to know you all. We know your day’ sgonna be purrfect, just as they all are. We hope you get lots of extra cuddles today, and with dat said, we’re sendin’ big hugs and kitty kisses your way and to all your furmily. Dear sweet Brian, we feel so thankful that we can visit you and we all smile every time we get to hear your story. We LOVE your first day photos and wish you the best Gotcha Day EVER! Huge congratulations! We did not know your story, but now we do. You were adopted shortly after my two kitties were adopted. They came to us just before Halloween in 2008 from the Humane Society. We are so happy you got such a great home and so many wonderful siblings! Aww, that’s such a lovely story of how you were adopted! We don’t understand how anyone could be mean to you or any animal. Wth is WRONG with some people, ugh. Yahoo! Happy 8th Gotcha Day Brian. We have not seen these photos before especially the last one with that great smile of yours. Happy Gotcha Day, Brian. You may have had a rough start, but you got the right family and home! 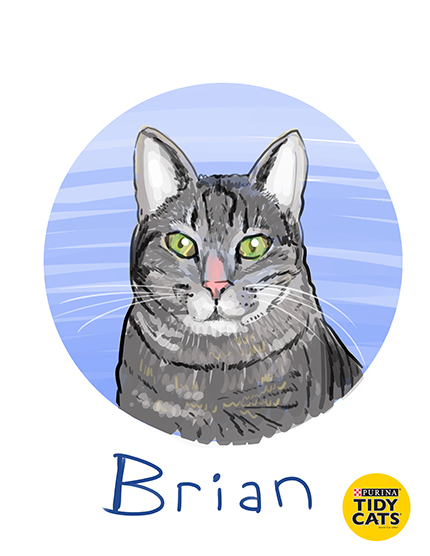 Brian, you are such a handsome mancat, and I am so glad that I found your blog! 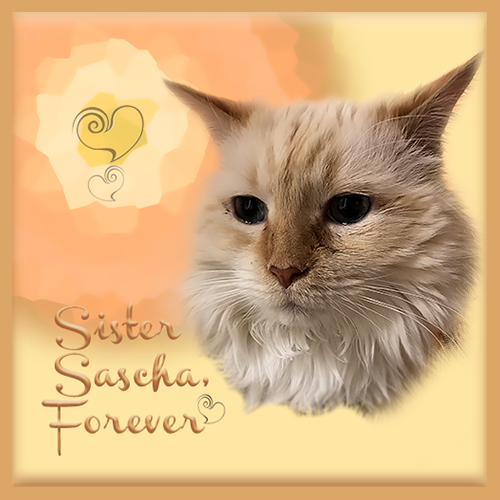 Wishing you a very, VERY happy Gotcha Day, and that you are in your furrever home. Hugs and smooches! Happy Happy Gotcha Day, Brian!!! You am likes an early Chrissymouse Purrsent! 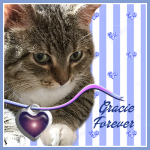 Purrz fur lots more Gotcha Days fur you! 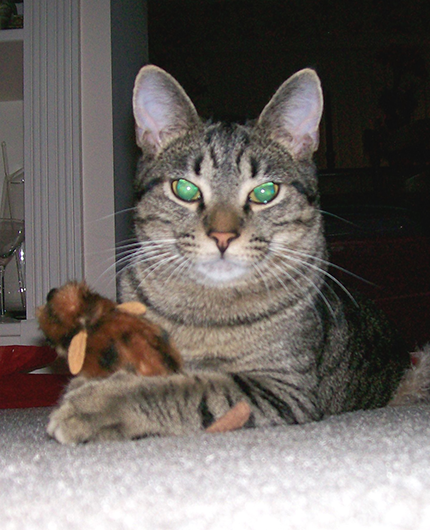 P. S. Maxwell Tigger am 8 years old too and him am a tabby too. Happy 8th Gotcha Day sweet Brian! Love your early pics. Glad you found the best forever home. Happy gotcha Day, Brian! I love that second photo. That is a very happy face. Congratulations on 8 great years…love the photos! Happy Gotcha Day, Brian. You look so cute in those photos. Happy Gotcha Day, Brian!!! We can see why Christmas is so special to you. Those are some great pics of you from your earlier days. We wanted to add ourselves to the blog hop, but we didn’t see it here earlier today when we checked to get the code. Next time we will do better. Happy Happy Gotcha day!! What a wonderful story — can’t believe it took nine months for such a cutie to get adopted! It is a great drawing and that photo of you smiling made me laugh outloud– you really look like you are smiling from ear to ear! Happy Happy Happy Gotcha day Brian !!!!!!! We love your gotcha story, Brian! You certainly gotted the purrfect home and family. We love you, pal, and hope your day was super special, just like you! What a great tale, Brian. You had a lot of people rooting for you when you were adopted. And what a wonderful home you went into. I’m sorry about Ivan. That doesn’t seem fair, does it? But with the happy comes the sad; we can’t get away from it. But we can make sure the happy comes a lot more often! Thank you for the compliment about my Christmas card; it’s the cats that made it beautiful. Have a wonderful Christmas filled with joy and good company. Sorry we are late getting by. We hope you had a wonderful Gotcha Day. Lots of love from all of us here at ATCAD, but especially from Scylla. Happy Gotcha Day! We know one thing–you’ve gotcha’d our hearts a long time ago, sweet friend! I hadn’t heard your entire story before. My heart hurts that you were ever treated badly. I’m so glad you’re with a loving family now. And I’m so glad that you ALWAYS share the message of adoption. Just think of how many cats you’ve helped to save? That’s something to be thankful for! I’m so happy you found such a wonderful home after going through difficult time. Happy Gotcha Day, Brian! Happy Belated Gotcha Day to our dear friend Brian! We are so happy you ended up in the amazing, loving family you did!